One of the most nerve-racking moments of owning an iPhone is when your mount comes loose and your beloved iPhone goes crashing to the floor. In walks Exomount to solve the tougest of tasks. The Exomount will reportedly "suction" to just about any material including wood, glass, metal, plastic or even drywall. 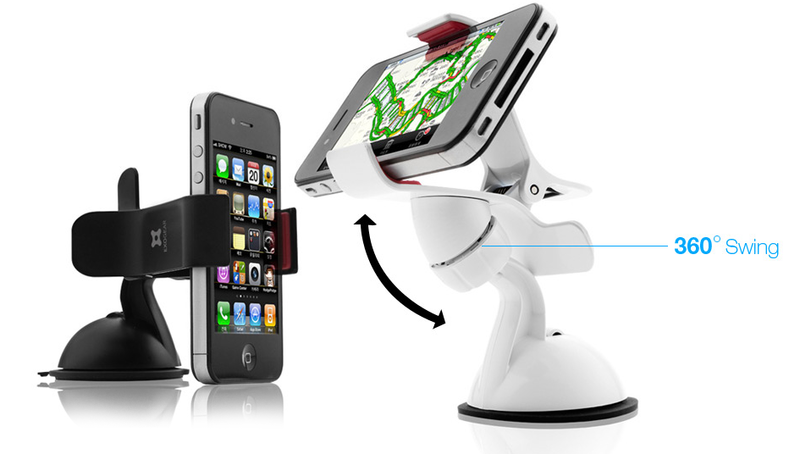 It has a multi-angle rotation, can also double as a GPS or "other" smartphone mount and comes with a polyurethane-lined grip designed to keep your iPhone or GPS secure.